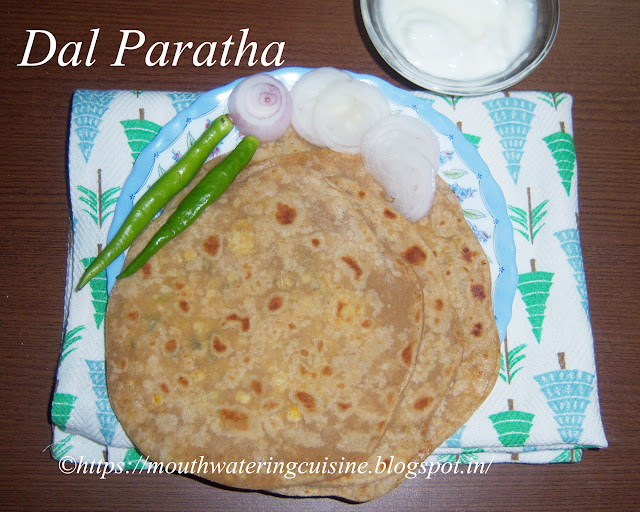 Dal paratha is another North Indian paratha variety. I always like to make North Indian varieties, mainly parathas. When I was surfing my old recipe collections yesterday, I found this recipe. But I have made small amendments to the given recipe. It is made with soaked chana dal and urad dal. In the given recipe they did not added any spice powder other than red chilli powder. I have added green chillies and ginger to it. We South Indians like more spicy food, so have to added spices to it. It was mentioned only to make coarse paste of them and stuff, but I pressure cooked and added all the spices and then stuffed. Soak bengal gram and black gram for 2 to 4 hours. Grind them to a coarse paste along with green chillies and ginger. Pressure cook this paste for three whistles. Allow this to cool to handle. Add salt, chilli powder, coriander powder, coriander leaves and ajwain to it and mix well. Make equal size balls with the dal dough. Slowly add enough water to make soft and pliable dough. Knead it properly. The dough should be like that of chapati dough. Add oil to it and keep aside for one hour. Take small portion of chapati dough and keep dal dough in it and cover it. If excess dough is left over remove it. Make a round ball of it. Press it with fingers and roll it using rolling pin. Roll it gently to make 1/4" thickness paratha. Heat a non-stick pan, put the rolled paratha on it. Cook till the brown spots appear on one side. Flip it and cook. Apply oil or ghee on both sides. 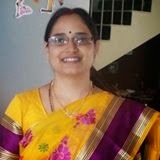 Serve hot dal parathas with curd and onion. For more breads click here.